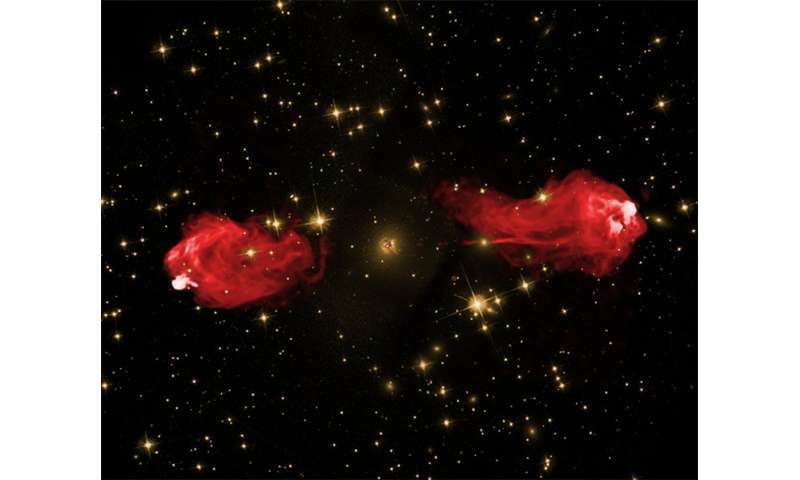 SOFIA data indicate that magnetic fields are trapping and confining dust near the center of the active galaxy, Cygnus A, and feeding material onto the supermassive black hole at its center. The unified model, which attempts to explain the different properties of active galaxies, states that the core is surrounded by a donut-shaped dust cloud, called a torus. 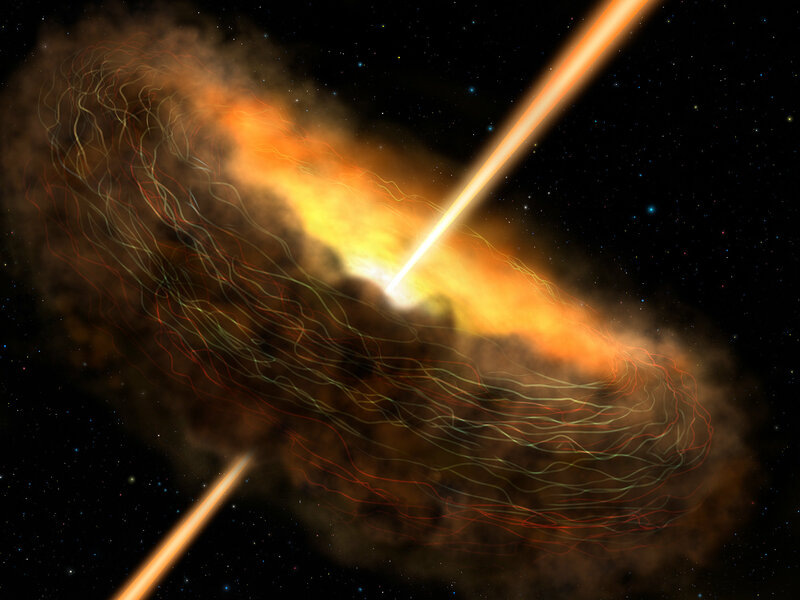 How this obscuring structure is created and sustained has never been clear, but these new results from SOFIA indicate that magnetic fields may be responsible for keeping the dust close enough to be devoured by the hungry black hole. 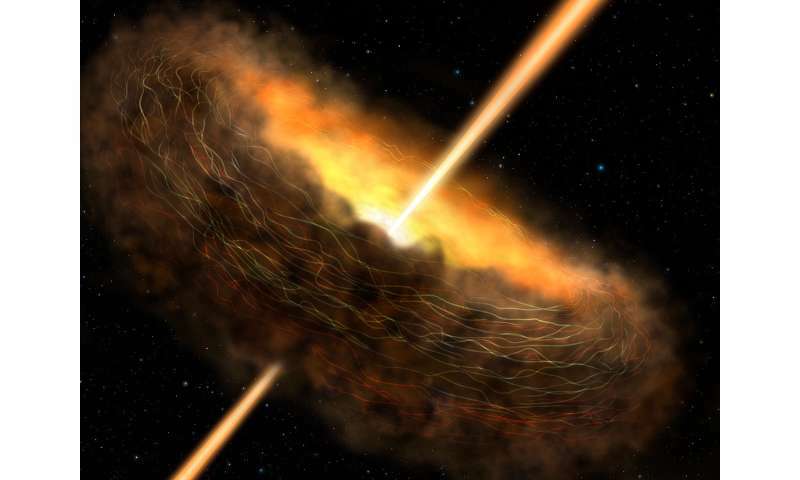 In fact, one of the fundamental differences between active galaxies like Cygnus A and their less active cousins, like our own Milky Way, may be the presence or absence of a strong magnetic field around the black hole. Although celestial magnetic fields are notoriously difficult to observe, astronomers have used polarized light—optical light from scattering and radio light from accelerating electrons—to study magnetic fields in galaxies. But optical wavelengths are too short and the radio wavelengths are too long to observe the torus directly. The infrared wavelengths observed by SOFIA are just right, allowing scientists, for the first time, to target and isolate the dusty torus. SOFIA’s new instrument, the High-resolution Airborne Wideband Camera-plus (HAWC+), is especially sensitive to the infrared emission from aligned dust grains. This has proven to be a powerful technique to study magnetic fields and test a fundamental prediction of the unified model: the role of the dusty torus in the active-galaxy phenomena. Recent observations of the heart of Cygnus A made with HAWC+ show infrared radiation dominated by a well-aligned dusty structure. Combining these results with archival data from the Herschel Space Observatory, the Hubble Space Telescope and the Gran Telescopio Canarias, the research team found that this powerful active galaxy, with its iconic large-scale jets, is able to confine the obscuring torus that feeds the supermassive black hole using a strong magnetic field. The results of this study were published in the July 10th issue of The Astrophysical Journal Letters. 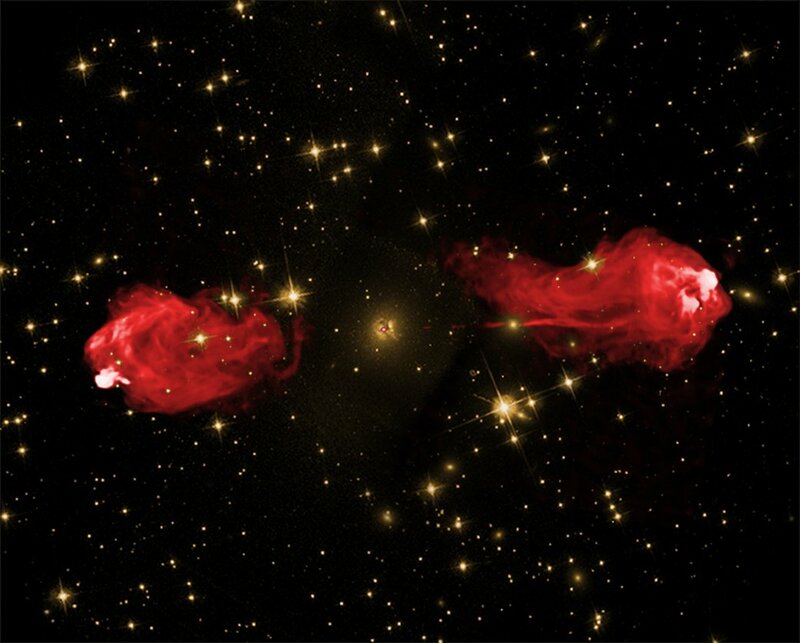 Cygnus A is in the perfect location to learn about the role magnetic fields play in confining the dusty torus and channeling material onto the supermassive black hole because it is the closest and most powerful active galaxy. More observations of different types of galaxies are necessary to get the full picture of how magnetic fields affect the evolution of the environment surrounding supermassive black holes. If, for example, HAWC+ reveals highly polarized infrared emission from the centers of active galaxies but not from quiescent galaxies, it would support the idea that magnetic fields regulate black hole feeding and reinforce astronomers’ confidence in the unified model of active galaxies.